Simplicity can be beautiful. 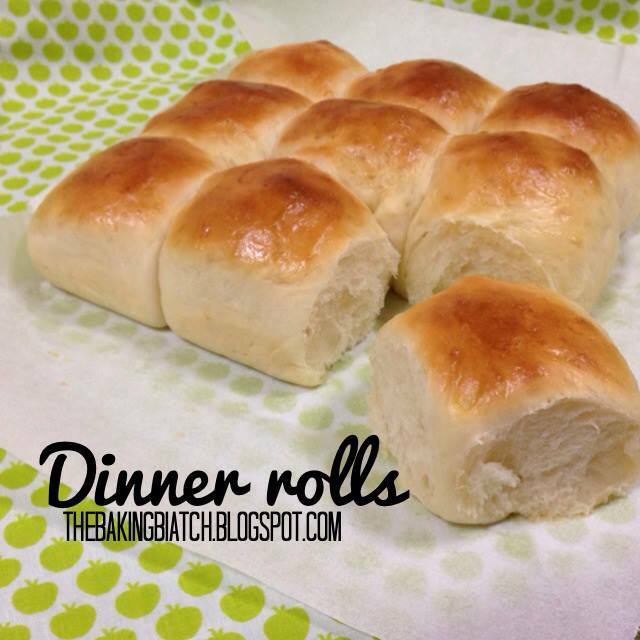 I made these simple Dinner Rolls on Thursday night. Soft and fluffy, they're pretty much a delight to eat! 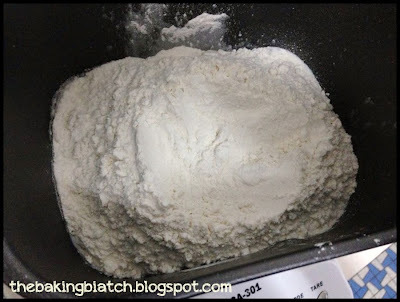 I used a bread machine to mix the dough but a mixer would work just as well. My Kenwood BM 250 is just such a darling! 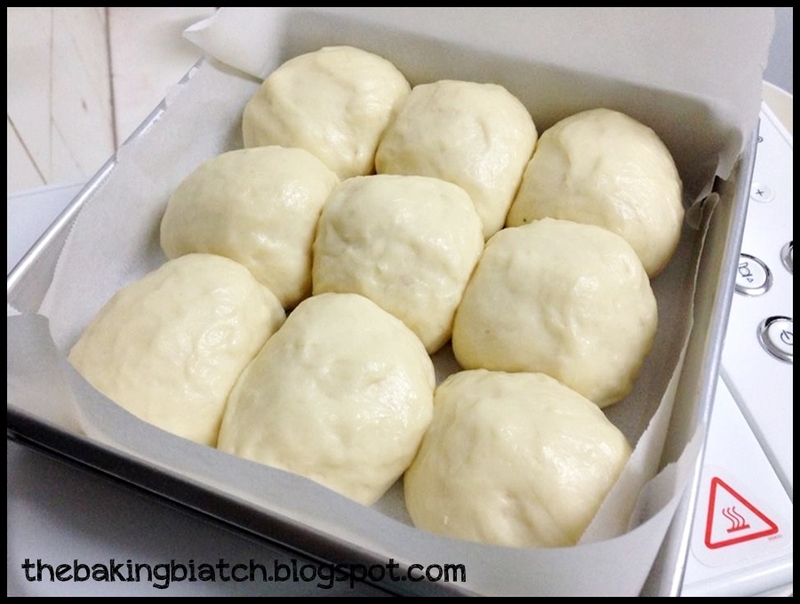 (: The recipe uses Tangzhong, a mixture of bread flour and milk that allows for bread to be really nice and soft. 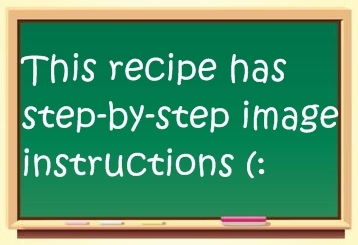 This recipe is relatively simple so I'm rating it a difficulty level 2 out of 5. It will take about 3 hour 15 minutes in all to complete. 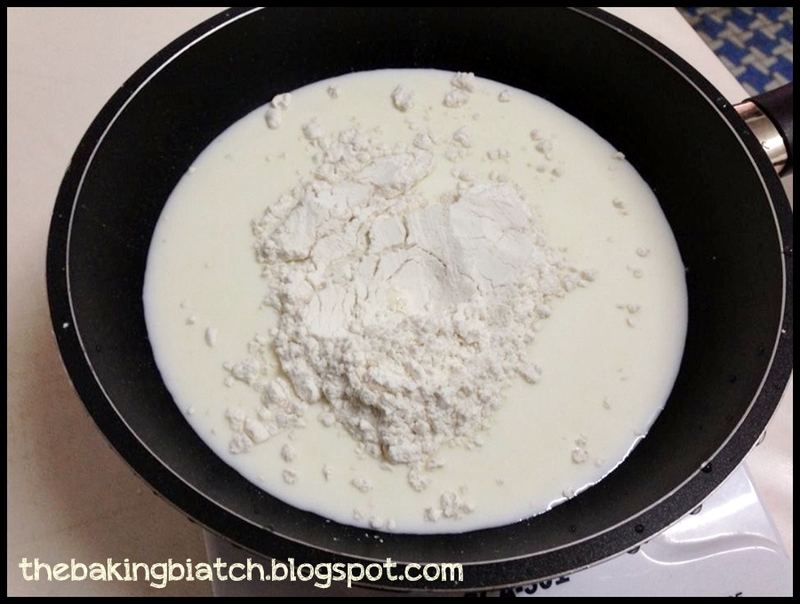 To prepare the tangzhong, add milk to bread flour in a non-stick pan. 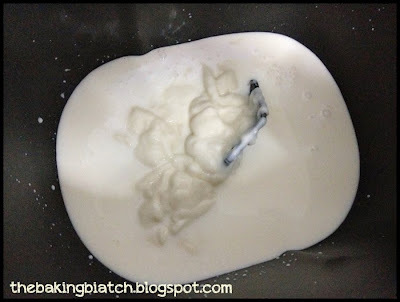 Mix well with a spatula/whisk and cook on low heat till mixture becomes gooey. 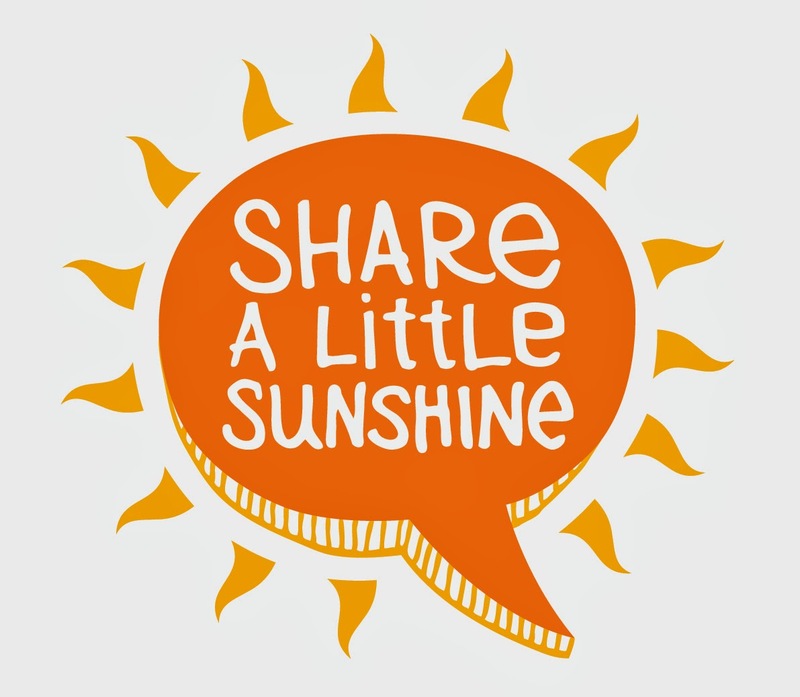 It should take 2 - 5 minutes. Once mixture is gooey-like, it is ready. 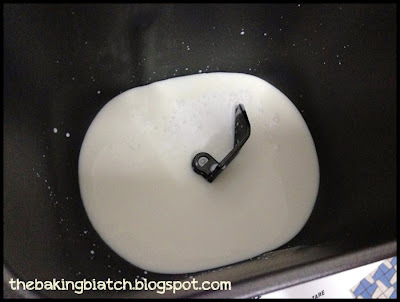 Remove from heat and scoop into plate and allow it to cool down to room temperature. 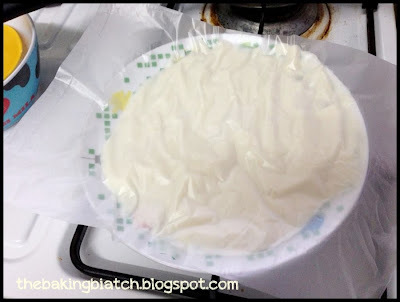 Cover with a clean plastic bag or cling wrap to prevent the surface from drying up. **Do not waste any bit of the tangzhong as the recipe yields just enough for the bread. Have all the wet ingredients in first. First up, the milk. 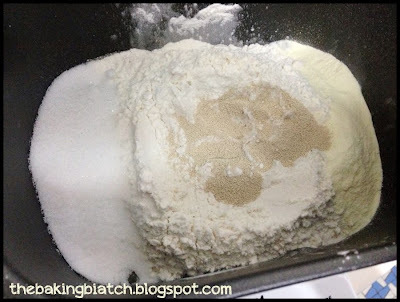 Cover with the flour and ensure that all the liquid is being covered up. Add the sugar on one side of the bucket. 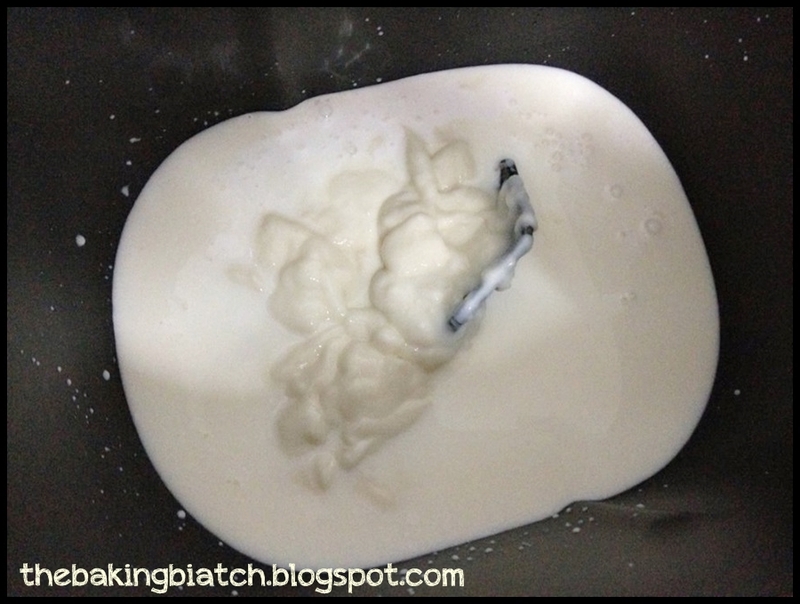 Add the milk powder on the other side of the bucket. 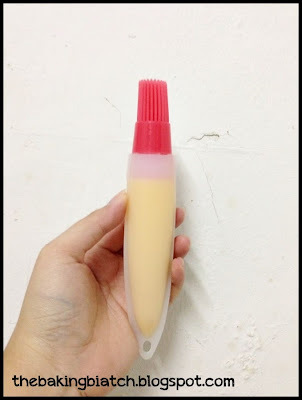 I used Anlene milk powder. 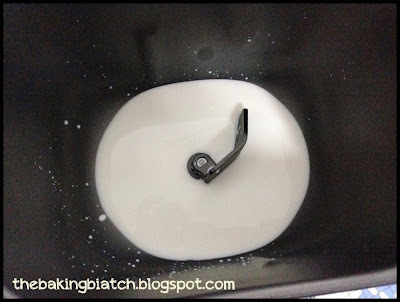 You may also use baby's milk powder. Add the yeast in the middle of the bucket. If you are using Kenwood BM 250 like me, select setting 8. This will allow the bread machine to mix the dough for you. The cycle will take 1 hour 30 minutes. 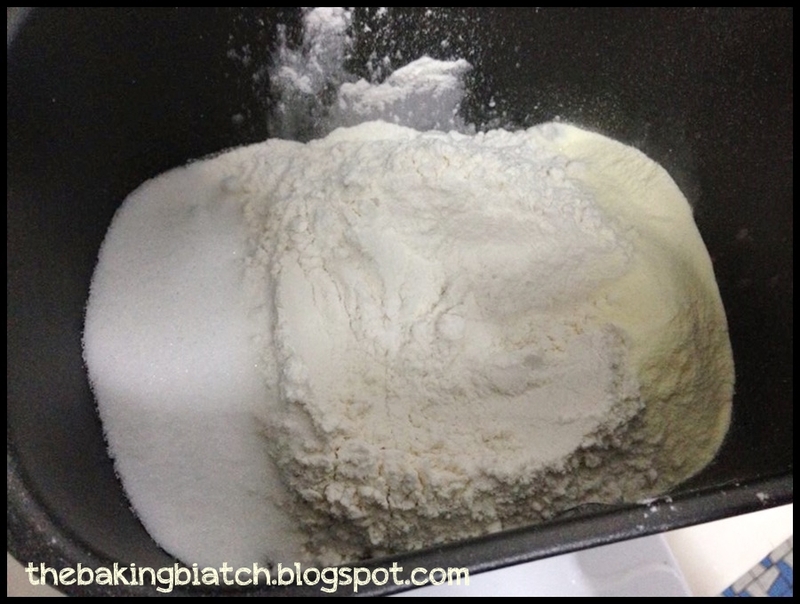 Allow the bread machine to mix the ingredients together. Portion the salt and butter. 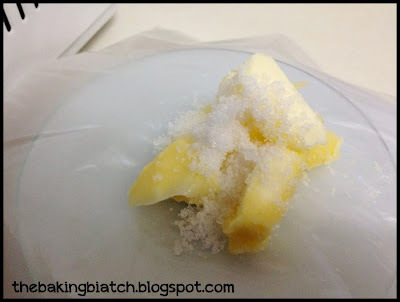 When the first portion of mixing has stopped, add the salt and butter in. Allow cycle to complete. 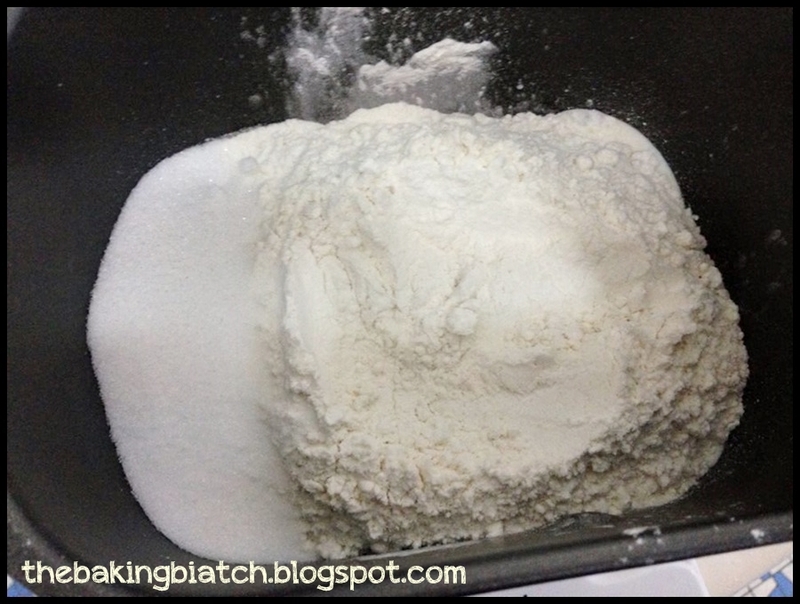 This is the dough after first proof! Turn off bread machine. 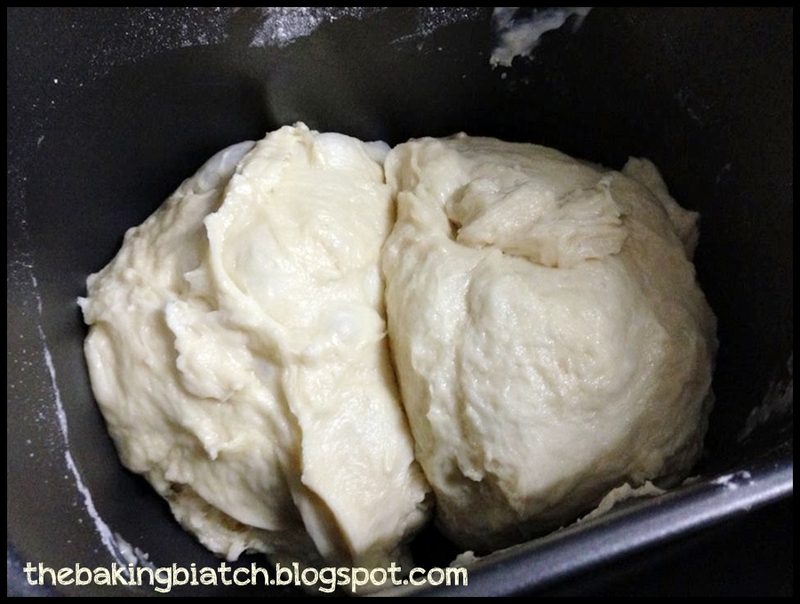 Punch a hole in the dough to allow air to escape. Divide dough into 2 balls/portion and place it back into the bucket. Allow dough to proof for 15 more minutes. Have some bread flour set aside for flouring hands. Line a baking tin with baking paper. I used a 5" square baking tin for 9 buns. The recipe yields about 21 buns so you may use a larger baking tin to fit all the buns. 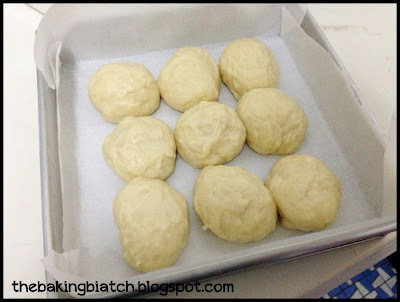 Portion out dough into 40g balls. 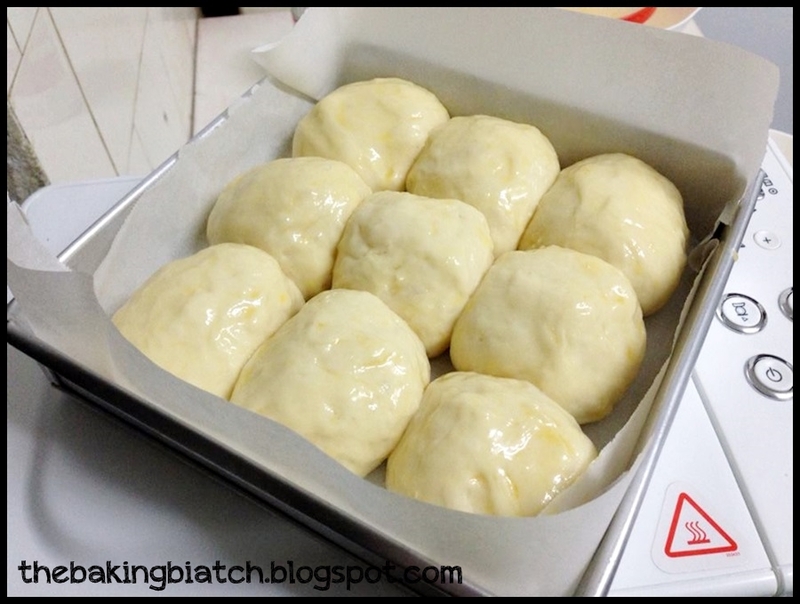 Place balls into the baking tin. This was how far apart I had the buns. Allow bread to proof in a warm place for another 50 minutes. I proof them in my oven. 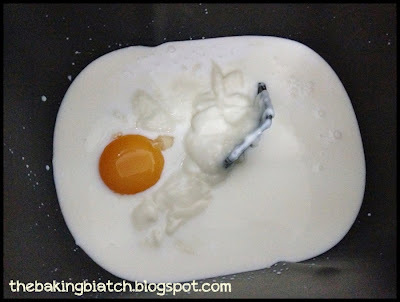 Prepare egg wash by whisking an egg with 2 tbsp of water. Here's the awesome brush I have for doing my egg wash! Here's my bread all beautifully proofed up after 50 minutes. Egg wash lightly with mixture. Bake in preheated oven (fan mode) for 17 minutes. 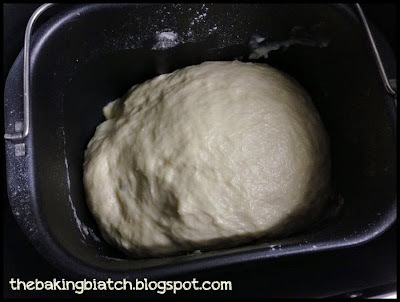 if I do not have bread maker what other method to make bread? You know Cynthia, after reading your dinner roll, I just want to share my experience with you. Four days ago, I used Christine's recipe of Hokkaido loaf which uses 184g tangzhong. I was short of that amount as I only have about 100g tangzhong made in previous day and in a hurry, I quickly made egg custard tangzhong to make up for the shortfall. With the egg custard tangzhong, I omitted the whipping cream and butter and an egg for the loaf. To my surprise, the loaf baked beautifully and it stayed soft and fluffy even up till the fourth day, not with no rancid surfaced. With my new discovered recipe, it is sure a keeper recipe because it's fatless but taste was not compromised. The wonder of egg custard tangzhong which consists of 1 yolk, 15g bread flour, 65g milk/water, 10g sugar. Now my conviction is aside from water roux tangzhong, if you plus egg custard tangzhong into it, bread loaf without usage of butter and whipping cream can taste as soft and fluffy. Wow! 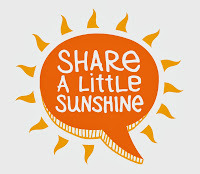 Thanks for sharing Priscilla! Maybe I should try it soon too! Hi Cynthia, the bread looks amazing ! 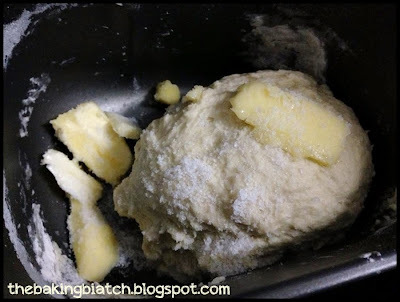 But can we do this recipe without the tangzhong but just by using the breadmaker? Thanks! No, please do not omit any part of the recipe. If you do not want to cook the tangzhong, you may want to source for another recipe that doesn't need it. Hello, can check if there are any substitute for milk powder? Hi Cynthia, my oven is down, can I use your & do a cycle 1 for my kenwood BM250? And sorry, is whipping cream a must? How does it looks like? hello, yes it is an essential component of the recipe. it's usually in tetra pack form from the chiller/dairy section of the supermarket. May i know where did you buy the square pan? I'm sorry I got them too long ago to remember. But most baking stores should carry them. Cynthia, not sure why when I shaped the dough, it didn't rise up like yours, I actually let it rise longer but still the same. What did I do wrong? Hello, is your yeast still alive?